In Kievan Russia one god was considered the supreme deity, but it is at different times, that you will find the differences. Perun was considered the supreme god before Prince Vladimir converted to Christianity in 988. Closely attributed to Thor, the Norse god of thunder, or even the Latvian god Perkons, Perun was also considered as the god of thunder by the Eastern Slavs. Although thunder was his main ability, he was also considered the god of storms. 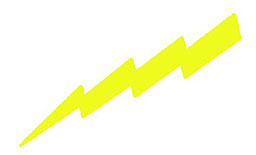 Depicted as having silver hair, and a golden mustache, people at the time also believed the his lightning bolts were considered to protect against bad luck, evil magic, and diseases. For many years before the conversion to Christianity, followers would sacrifice goats, bulls and cows at major rituals, in his name. The Russian peoples also believed Perun held the oak tree as sacred, and therefore would worship in oak groves. The Primary Chronicle tells of his fall from grace after Prince Vladimir believed Perun had duped him in the essence of faith. The Prince therefore had Perun beaten, and dragged by a horse along the Dnieper River. Vladimir decreed that all peoples convert and renounce the pagan gods, but somehow Perun was absorbed into Christianity in the figure of the Prophet Elijah. He is also found now in such modern day cartoons and comic strips like The Avengers, Captain American, and the Incredible Hulk.